A permanency hearing in DCP&P case is a hearing that takes place after your child has been in placement for twelve months to determine an appropriate long-term plan for your child. The DCPP defense lawyers at the Tormey Law Firm LLC are ready and able to protect your rights, your future, your family, and your reputation if there has been a child abuse or neglect allegation. Our managing partner, Mr. Travis J. Tormey, is a top rated “10.0” perfect rating on AVVO.com, an attorney rating service. He has also received the clients choice awards in 2013, 2014, 2015, and 2016. In addition, one of our attorneys, Brent Dimarco, has handled hundreds of DCP&P investigations and court matters. He will not put that experience and expertise to work for you, drafting a comprehensive defense strategy to combat these vicious allegations. Contact our offices anytime for immediate assistance at (908)-356-6900. The initial consultation is always provided free of charge. Our DYFS lawyers represent clients throughout Hudson County NJ including in Bayonne, Guttenberg, Hoboken, Weehawken, and Jersey City. What is a Permanency Hearing in NJ DCP&P Cases? FAQ: What is a Permanency Hearing? A hearing that is held in Family Court after your child has been in placement for twelve months to determine an appropriate long-term plan for your child. During a Permanency Hearing, DCP&P is required to present a long-term, “permanency plan” to the court and the anticipated time frame of achieving that plan. In doing so, the Division will present one of five possible plans: reunification with one or both of the biological parents, independent living, other long term specialized care, kinship legal guardianship, or termination of parental rights. Basically, the Division will present testimony regarding why it would or would not be safe for your child to return to your care and why the presented permanency plan is appropriate. At a Permanency Hearing, DCP&P is represented by a Deputy Attorney General, your child will be represented by a Law Guardian and you should consider being represented by an experienced DCP&P defense attorney who is familiar with permanency hearings. In fact, if you cannot afford an attorney, the Court will appoint you an attorney from the Public Defender’s Office of Parental Representation. After a child has been out of a parent’s care for one year, the Court must decide what plan is best for the child. That is, the Court must determine whether or not it would be safe in the foreseeable future for the child to be returned to the parent and whether or not the Division has provided the family with reasonable efforts to achieve reunification. Courts are very strict in conducting permanency hearings within the prescribed timeframes because of the overwhelming sentiment that permanency and stability for children is essential to the child’s overall well-being. In fact, Federal law, state law and psychological studies acknowledge that the child’s permanency and stability is paramount for the safety and well-being of a child. The Court’s role during a permanency hearing is to determine by a preponderance of the evidence whether or not the Division’s proposed plan is appropriate and acceptable. The Court’s role is not to establish the permanency plan for the child but review DCP&P’s proposed permanency plan. In other words, the Court will either approve or reject the Division’s permanency plan. If the Court approves the plan, the Court will set forth the parameters in which the plan should be achieved. 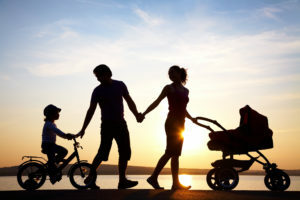 For example, the Court will determine a reunification date or, alternatively, set a date for the Division to file a complaint for Kinship Legal Guardianship or Termination of Parental Rights. If, on the other hand, the Court rejects the Division’s plan, another Permanency Hearing must occur within 30 days. For example, the Court may determine that a plan is not appropriate because the Division did not prove that reunification would not be unsafe in the foreseeable future or that DCP&P did not provide appropriate services to the family. During a permanency hearing, the Court will do what is in your child’s best interests and the Division may argue that not returning to your care is best for your child. As with every type of hearing in protective services litigation, the fate of your family is at stake. In fact, New Jersey law requires that DCP&P provide notice a permanency hearing to a parent and the parent’s attorney at least fifteen days before a Permanency Hearing in order for the parent to have time to prepare for the hearing. If you are scheduled to attend a Permanency Hearing regarding your children and you have not already consulted with an attorney, you should contact an experienced DCP&P defense lawyer to discuss your case. Contact our offices anytime for a free initial consultation at (908)-356-6900.